The idea that people can be classified into types has a long history. Writing 23 centuries ago, the Greek philosopher Theophrastus sketched 30 characters that are instantly recognisable to this day. They include the chatterbox, the back-biter, the ungrateful grumbler, the penny-pincher and the patron of rascals. why is it that, while all Greece lies under the same sky and all the Greeks are educated alike, it has befallen on us to have characters so variously constituted? Jung’s work inspired the well-known Myers-Briggs typology, beloved of many consultants but belittled by most researchers. Cleaving humankind with four dichotomies – introverted or extroverted, intuiting or sensing, thinking or feeling, perceiving or judging – it lays out 16 types, each with a unique personality style. For Theophrastus, the tapestry of human variation was woven from dark threads, his types each defined by a character flaw. For the Myers-Briggs the palette is bright. Each type represents a distinct gift that suits people for positive roles. There is the teacher type, the healer, the performer, the architect, the provider, the mastermind and so on. Many other types have been proposed. There are physique-based “somatotypes”, such as scrawny, intellectual ectomorphs, and jovial, big-boned endomorphs. There are attachment types that capture differences in how children relate to caregivers, or adults to their romantic partners. There are angry type A and inhibited type C personalities, supposedly at risk of heart disease and cancer. Non-psychologists have also got in on the act. Muhammad Ali proposed a fruit and nut-based typology, classifying people as pomegranates (hard on the outside and inside), walnuts (hard on the outside, soft on the inside), prunes (soft outside, hard inside) and grapes (soft inside and out). 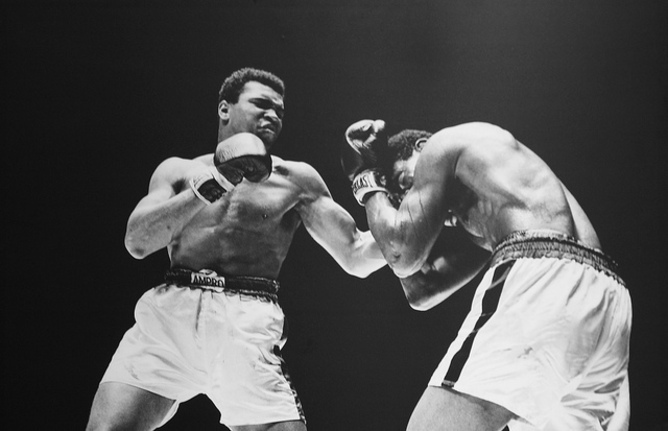 Muhammad Ali: pomegranate or prune? The trouble with these proposed personality types is that there is scant evidence that they are, indeed, types. Personality types are kinds of people who differ categorically from one another, just as cats and dogs are kinds of animal. Cats and dogs don’t differ by degrees: there is no continuum from one to the other composed of intermediate cat-dogs. If extroverts and introverts are truly types, like cats and dogs, then any person is either one or the other. In a review of almost 200 studies examining possible psychological types, my colleagues and I found no compelling evidence that any personality characteristic is type-like. Instead, these characteristics are dimensions along which people vary by degree alone. Extroverts and introverts are not distinct types of person. They merely represent the fiery red and cool blue ends of a personality spectrum. If personality “types” are not true types then what are they? They are probably best seen as arbitrary regions on an underlying continuum. We can arbitrarily define “tall” as exceeding 1.83m (six feet) in height without believing that tall people are a distinct type. Similarly, an “introvert” is someone who falls towards one end of the introversion-extroversion spectrum. How we think about personality makes a difference. If we think in terms of types, we place people in categories and use noun labels. The person is “an introvert”, a fact that defines the kind of person they are. If we think in terms of dimensions we use adjectives. The person is “introverted”, an attribute they possess, not an identity that defines them. Studies have shown that people draw different implications from noun labels and adjectives. When they hear someone labelled with a noun they are more likely to see the characteristic as a fundamental, unchanging aspect of the person. Thinking of someone as “an introvert” rather than as “introverted” leads us to expect them to act in introverted ways always and evermore. So much for personality type. Might psychological types exist in the realm of mental illness? Many diseases are clearly types: measles is essentially different from mumps, gout and swine flu. Is this also true of mental disorders such as schizophrenia and depression? Our review found that categorical types are vanishingly rare in psychiatry. Very few mental disorders are “cat”-like categories. Most fall on a continuum that extends from normality at one end to severe disturbance at the other. A spectrum of milder variants falls in between. Freud wrote that psychoanalysis aimed to turn neurotic misery into everyday unhappiness, and our findings suggest this is just a difference of degree. Several implications follow if most mental disorders fall on a continuum with normality. First, these disorders tend to be diagnosed as either/or categories, and as if a bright line could be drawn between those who have a disorder and those who do not. If this assumption is often incorrect, then psychiatric diagnosis should perhaps be done differently, in ways that recognise degrees of severity. The fifth edition of the Diagnostic and Statistical Manual of Mental Disorders, introduced in 2013, made moves in this direction. A second implication is that deciding who has a particular disorder is bound to be contentious. If there is no objective category boundary separating normality from abnormality we should not be surprised if people draw a boundary in different or shifting ways. Just as lowering the arbitrary threshold of “tallness” would increase the prevalence of tall people, lowering the threshold for defining disorder can inflate the diagnosis. This issue also matters for what everyday people think about mental disorder. People who see the mentally ill as categorically different tend to hold more stigmatising attitudes than those who place mental illness on a continuum with normality. Similarly, those who use noun labels such as “schizophrenics” to refer to people with mental disorders tend to have less empathy towards them, see them as defined by their condition, and view that condition as less alterable. Despite its long history and continuing appeal, the idea of psychological types is problematic. Evidence for types is lacking and thinking typologically has a significant downside. We need to replace “either/or” with “more or less”. This entry was posted in Assessments, Careers, People Management on July 31, 2014 by Susan Rochester.